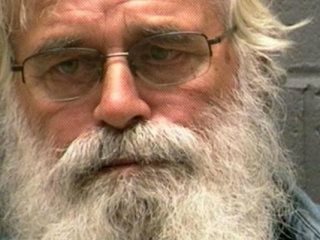 AFRICANGLOBE – A 62-year-old man with a bushy white beard who played Santa Claus at a Massachusetts mall has been charged with groping a teenager playing an elf and barred from the shopping center. The pair worked at a Santa photo booth at Hanover Mall in Hanover. The incident is said to have occurred Saturday afternoon when Herbert Jones, while sitting in his Santa chair, allegedly “reached up and pinched” the buttocks of the 17-year-old woman, according to a police report, The Boston Herald reports. Jones pleaded not guilty Monday in Hingham District Court to indecent assault and battery. A judge ordered him to stay away from the shopping center and barred him from playing Santa anywhere until the case is resolved. Jones denied touching the woman to police and mall management. He told officers that he was sitting on his Santa perch when the woman walked by and brushed against his hand, the newspaper reports. Jones said he pulled away in an attempt to avoid contact. The Herald says a spokesperson for Cherry Hill Photo, which employed both Santa and the elf, noted Jones’ denial and also reported a comprehensive background report on Jones indicated that he did not have any prior arrests or convictions. Jones was freed on $1,000 bail and is due back in court on Christmas Eve.